I must say things seem much brighter than they did last week at this time. I don't know if it's because I got paid for transforming that desk the other day and we sold some stuff on our etsy store. Or if it's because my car might actually be fixed tomorrow and I won't have to spend my life putting water in it or waiting for it to cool down. Ot if it's because I was finally able to switch my cell phone service to a provider and plan that will be about half the amount of money each month. But, whatever the reason, I feel less down in the dumps this week. And I am SO VERY THANKFUL for that! I was just talking with someone about how stressful it is to constantly feel like you're under a tremendous weight of debt and financial burden. It becomes increasingly difficult to keep a positive attitude when you always feel like you're scraping the bottom of the barrel to get by. So, even though I'm really no better off this week than last as far as financials go, at least I have a couple issues taken care of that I've been putting off because of their cost. It feels like I literally have had some weight lifted off my chest. Like maybe there actually might be light at the end of the tunnel after all. 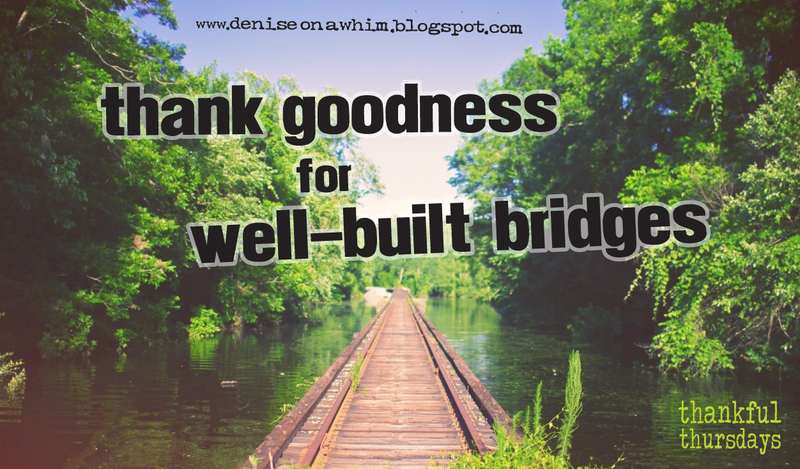 Because, frankly, I was really starting to feel like the narrow bridge I found myself teetering on was just about to give way under my feet and I would soon drown. I'm so excited to write a blog about a furniture transformation. 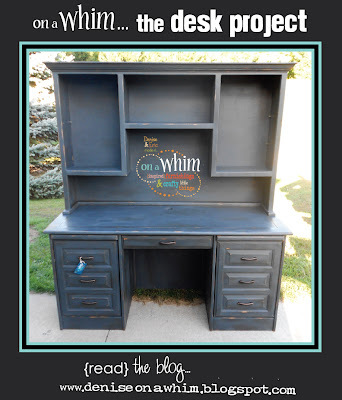 And using Annie Sloan Chalk Paint™, nonetheless! At our booth during the Riverwalk Festival in Lowell, we met Kimberly. She purchased a whitewashed end table and an upcycled sign. 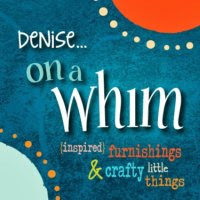 She then took our card, mentioning that she may be interested in having us refinish some furniture for her. About a month later, she called and asked for a quote on a desk. This was a nice piece to begin with. 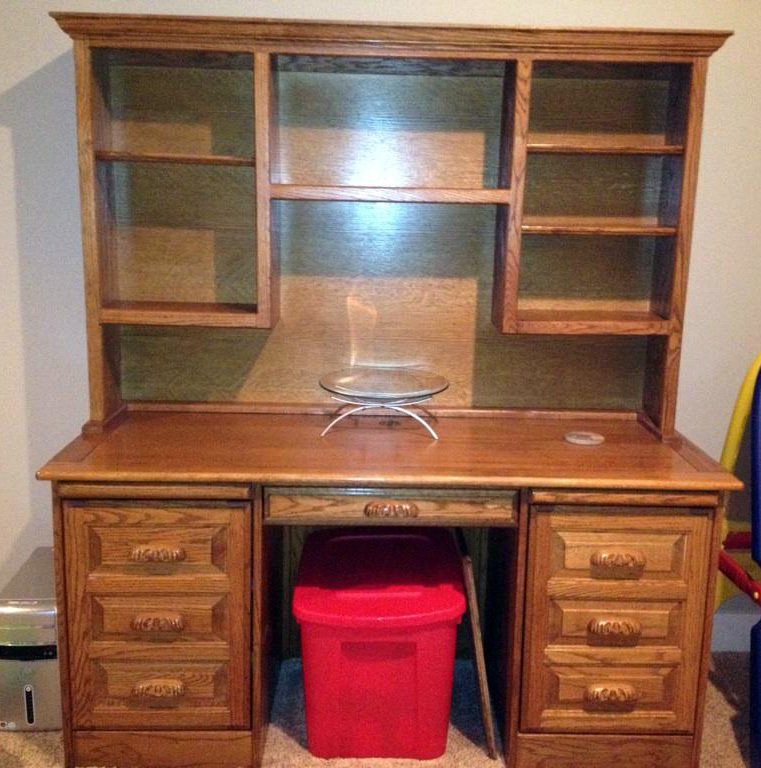 A solid wood desk with 2 pull out shelves at the top of each cabinet door. The right-hand side cabinet has a cubby space for your computer tower and the left side cabinet has another slide-out shelf. Not to mention the slide-out keyboard area in the center. In other words, a lot of nooks and crannies to paint! And some nice edges to distress as well. Our client wanted a black distressed finish to give this great piece of furniture an updated look. She was going to have us work on the bottom only and leave the hutch for later as she wasn't sure she would use that portion or not. 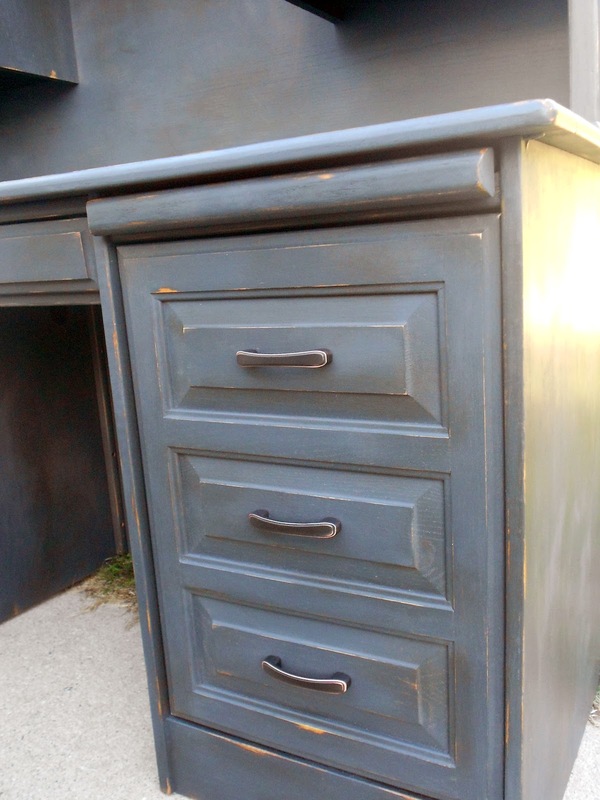 After our initial consultation, she decided to go with Annie Sloan Chalk Paint™ in Graphite. I told her it would distress very nicely, even though it wouldn't be a true black, as she had originally requested. I've transformed other pieces, but hadn't had a chance to work with ASCP before. I was so excited! Eric, Gavin (Eric's son) and I went to pick up the desk. And thank goodness Gavin went with us because this baby was HEAVY! When we got there, we learned that our client wanted us to do the hutch portion as well. Yay! So we brought both pieces back to my house and a day later I started painting. It was a lot of work because of all the cubbies and areas to paint. 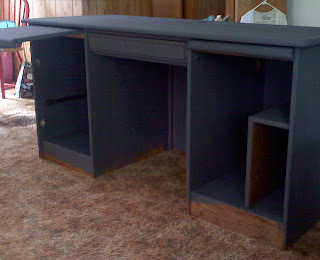 But, that being said, it wasn't nearly as much work as it would have been had I needed to sand the desk before I painted. I had read up on chalk paint (in other words, I had done my homework). But I was pleasantly surprised to find the claims were all true! The paint worked like a charm on the unsanded wood! At first, I used it straight out of the can. But I found that when I watered it down a bit, it went on just a little easier for me. And it really goes a long way too. Both of these large pieces (at least 6' wide) were done with only 1-1/4 quarts of chalk paint. And the time I saved on the sanding made the paint well worth the price. I was in love with the piece once I got the waxing started. It made the color just a little darker and, with the addition of the dark wax, the piece was really coming together beautifully. When it came to sanding for the ditressed look, what can I say... best paint ever to distress with. The sanding process was so easy. And I found that the wax would erase any stray sandpaper marks I might have accidentally left when my hand slipped off an edge and I scuffed an area I didn't mean to. When I got the desk finished, I started on the hutch. My client had a date in mind she had hoped to have the desk back by but wasn't as concerned with the top part. But, once I started on the hutch, I got that all finished in just a day and a half. The Chalk Paint™ dries very quickly, making the entire process that much faster. We can't wait to work on our next client project! 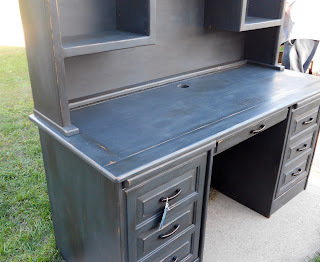 Looks like it might be Kimberly's curio cabinet, refinished to match her new desk. 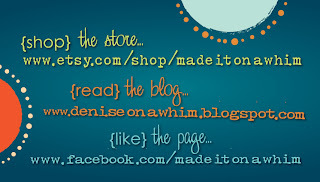 :) And I am officially a huge fan of Annie Sloan Chalk Paint™. It works great and I'm excited to start using it on a couple of end tables in my garage! I've been struggling lately with, well, a lot of things. But mostly stemming from money. And because of that I find myself in a different kind of struggle. The kind of internal struggle between what I know to be true and what I keep feeling to be true. 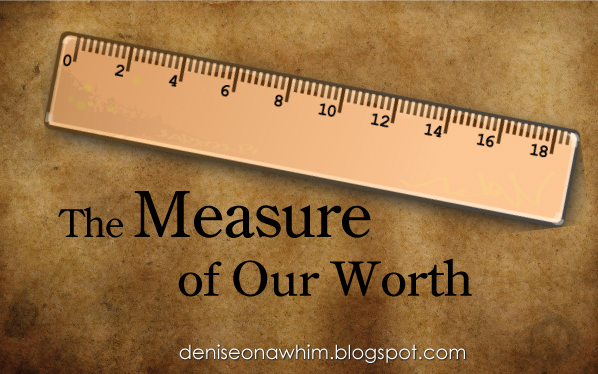 More and more, I find myself measuring my worth on one criteria: the amount of money I have (or, more appropriately, don't have). It's a trap I have done my best to avoid. But it's getting harder and harder after a year of stressing over money on a regular basis. A year of not really even making the ends meet anymore. It's a situation that is both frustrating and just plain tiring. I've come to the point where I am feeling so low about money, that I literally have to remind myself of how many other things I have going for me in order to keep me going at all. And, unfortunately, it's a trap a lot of us find ourselves caught in from time to time. Money might not always be the issue. But, too often, we let ourselves be defined by one thing, instead of tallying all the pieces and parts of us to come up with our net worth. Sometimes there's one thing that seems to weigh so heavily that it somehow winds up becoming 90% of the score when, in reality, it might not even be worth counting at all. For me, at this moment, the big issue is money. I'm so busy anymore worrying about how I'm going to pay for this, that or the other, that I can hardly focus on anything else. And because this issue is taking up so much of my time and my thoughts, it's becoming more and more difficult to not equate myself with the problem. In other words, because I don't have enough money, I also feel like I'm not enough. It is so horribly unfortunate that we do this kind of thing to ourselves. People do it all the time. Maybe they feel they aren't worthy of love because they don't think they are attractive enough: they don't have the right body image or hairstyle or facial features. Or maybe they judge themselves as stupid because they are poor test takers and fail tests often in school. We define ourselves as fat or dumb, uptight or timid. The list of negative descriptions goes on and on. And, typically, we define ourselves in these negative ways because of one single thing that we don't like about ourselves or our lives. What we tend to forget in moments like these, when we are feeling low about one part of our life or our personality, is that we are complex individuals. We are so much more than the amount of money we make or the car we drive. We count for more than our test scores and our accolades. Our worth as people should not be defined by the kind of work we do but, rather, by the quality. We should never feel unworthy because of a physical trait we don't like about ourselves. Because we are so much more than that one thing we don't like about ourselves or that one thing we find lacking. That single, glaring problem we focus way too much of our energy on is NOT what should define us. We each have so much in our lives, in our personalities, besides these negative things, so much to offer others and so much to offer ourselves, if only we try to focus on ourselves as a whole package. And not forget that we are not the same as the problem. We need to remember that our lives our so much bigger than one little thing, no matter how much stress that thing may cause us. I know I certainly needed the reminder today. Sometimes you hear something and it really sticks with you. 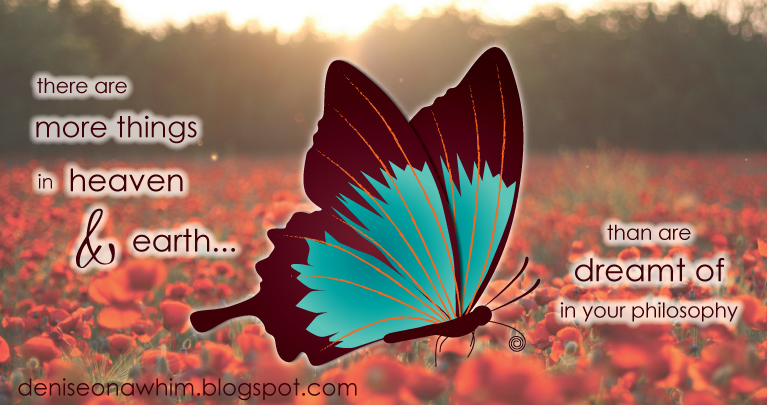 Awhile back, my kids told me that they thought their Grandma had turned into a butterfly when she died. It was a comment made out of the blue. There were no butterflies around and we weren't talking about her at the time. When they said this, it was completely unexpected﻿. And very sweet. My kids will often mention my Mom out of nowhere. And, to be honest, it makes me feel good and sad at the same time. I miss my parents. Immensely. So to hear my kids talk about my mom sometimes makes me melancholy. Especially on those days when I'm already missing her to begin with. So, in their wonderful childish way, they have decided to equate my Mom's soul with a butterfly. And I love that! It's one of the most beautiful things I have heard in a long time. And it has really stuck with me. Not long after they said it, I was working on some projects outside my house and was visited, time and again throughout the day, by a butterfly. I just kept thinking about what the kids had said and I couldn't get it out of my head how odd it was that this butterfly kept returning and landing on my projects. It was so strange that I got my camera out and snapped a few photos. I'm beginning to think the only day I can actually sit down to blog is Thursdays. Maybe I need to name all of the other days of the week something clever, too, so I force myself to sit down and write! 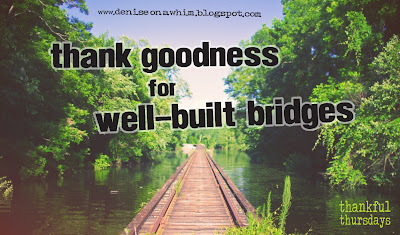 Since today is Thankful Thursday, I wanted to take a moment to write about what I'm truly and completely grateful for. Happiness. Simple happiness. I can attest to the fact that happiness isn't always easy. Sometimes it's actually pretty difficult. But the honest truth is, it's a reachable goal for us all. It depends, in part, on your definition of happiness, I suppose. But if you break it down into moments, (and isn't that what life is, after all, just moments? ), then we can all achieve it. There are times in life when happiness just comes naturally. And there are other times when we have to actually work at it. Most of the time, though, it's a combination of the two. My life at the moment is definitely a mixture of the two. It's a challenge sometimes to remain upbeat in the face of financial struggles. And, boy, do I have those! But, on the flip side, there are moments when happiness just seems second nature, even in the midst of a boatload of stress. Times when my kids are behaving well or saying something really cute, or simply telling me what a great mom I am and how much they love me. Who could resist being happy when they hear that? :) And then there's my relationship. Another great source of happiness for me. It's been very nearly a year since I met Eric. He has been a source of constant joy for me. Someone I can laugh with when I might otherwise feel like crying. And someone who lets me cry when I need it. Just because I'm basically happy these days, doesn't mean I don't have my moments with the waterworks. And he makes even those moments better. Having someone you can count on for the good and the bad times, now that's true happiness. I am so thankful that I met Eric and found the one person I am sure I was meant to spend my life with. Someone who only brings me happiness. I'm not saying he's perfect. But I know for a fact that he will never purposefully do anything to hurt me. He'll never put me down. He'll never be ashamed of me. He'll never make me feel like I have nothing to offer. Quite the contrary, he lifts me up continually, and makes me feel like I'm one of the best people on earth. (Which, by the way, can be pretty embarrassing at times. lol) He does, indeed, by his very existence in my life, make me happy. No one said life would be easy. I don't personally know one single person who thinks it is. And, since it isn't easy, we can only do our best. 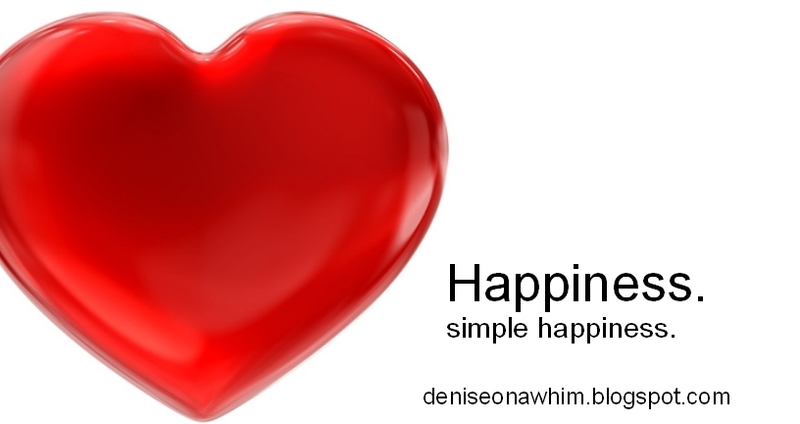 Sometimes, doing our best means, in part, finding our happiness in all the little moments. I can say with certainty that my life these days is not easy. And that it isn't all I wish it would be. But, even though money is important for obvious reasons (like my car repairs, my property taxes, my grocery bills, etc. The list goes on and on... lol), most of that is superficial. Because, when it comes right down to it, I'm actually very wealthy. I have an abundance of love and kindness in my life. I'm actually stinking rich with those! :) Because I have those, and despite the lack of other things, I'm a happy girl. And extremely thankful for it.